We produced a predicted XI for tomorrow’s League Cup clash with Derby tomorrow that left Roberto Firmino, Gini Wijnaldum and Daniel Sturridge out of the lineup. It turns out we were correct to do so, as the star trio sat out training today at Melwood, reports the Echo. Brazilian Firmino missed Friday’s victory over Chelsea with a groin strain and, although it wasn’t judged to be serious, it doesn’t look like he’ll feature at the iPro Stadium Tuesday. Sturridge was substituted after the hour mark against the Blues, but Jurgen Klopp said after the match it was a tactical decision, not because the Englishman had picked up a problem. “The first half was really good from Daniel, but we needed this player there in the centre that we could play with, and play in behind and push up with,” Klopp said. In fairness, Sturridge has a personalised training regime, so leaving him out today could simply be part of the ongoing process to maximise his fitness. 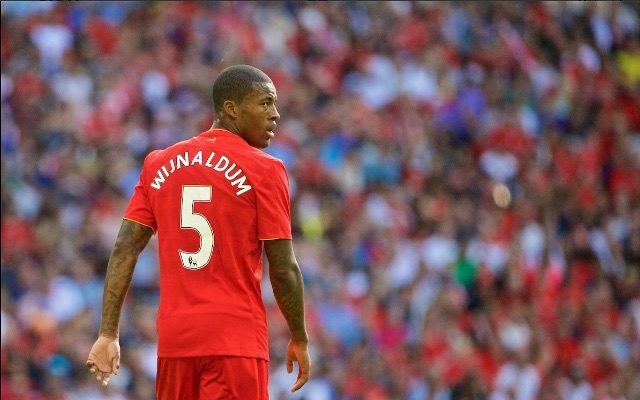 Wijnaldum completed the 90 at Stamford Bridge, so we can’t yet explain why he was rested today. He has played every Premier League game so far, in fairness – perhaps he needs a breather before next weekend. Without Firmino and Sturridge, Klopp will likely use Divock Origi, Coutinho and one other in the front-three. Danny Ings will be desperate to play his first minutes of the campaign, but Klopp could also give Ovie Ejaria a full debut as well. In midfield, we hope to see Marko Grujic given a debut in place of Wijnaldum.